The link between social mobility and financial capability and employability are well-documented: certain skills are fundamental to improving life chances and achieving economic well-being in a young person’s future. Helping young people and their families gain the skills and knowledge to manage their financial resources effectively throughout their life is a strong focus in both our primary and secondary school programmes. The Business, Enterprise, Employability (BEE) Programme is a series of six 90-minute monthly workshops on money and enterprise, delivered by employee volunteers to primary school children in the classroom. The first three sessions explore needs and wants, spending and saving, currency, jobs, taxes and banking. In the final three sessions, pupils form mini-companies to design and sell products, before calculating costs and donating their profits to a charity of their choice. 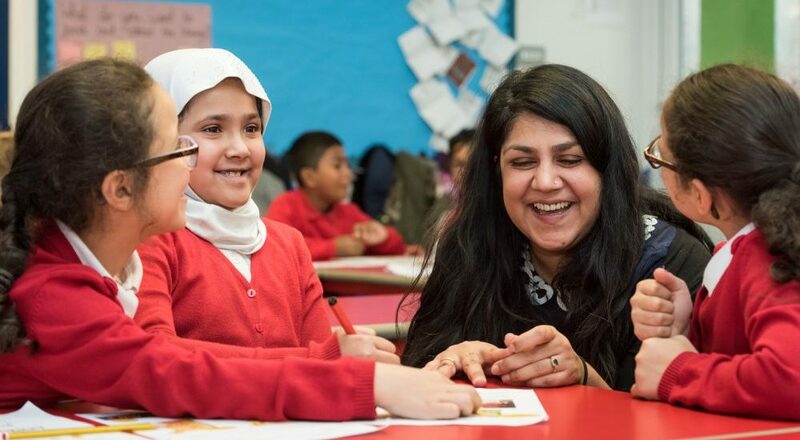 Tower Hamlets Education Business Partnership provides all the learning resources and training to enable volunteers to deliver the workshops and liaises with the schools to set up each programme. This programme is additionally available to companies and schools beyond the borough of Tower Hamlets. Our Primary School Financial Literacy (BEE) Programme requires a team of volunteers from a company to work with a specific school over a series of workshops. Volunteers are trained by us and are asked to make a minimum commitment to two workshops. The number of volunteers required depends on the size of the school and the availability of volunteers, varying between 10 – 40 volunteers over the course of the programme. Volunteers do not need to undergo a Disclosure & Barring Service clearance. Our Financial Literacy portfolio introduces key skills to 11 to 16 year olds in an interactive and enjoyable way. We also work with teachers and employers to develop new workshops and events. We welcome teams of volunteers as well as individuals from companies. No prior training is required. As this is a one-off activity volunteers do not need to undergo a Disclosure & Barring Service check. Volunteers should dress as they would for the office. For full day workshops, lunch will be provided. Do get in touch to discuss this further by contacting our Do More Team or call 020 7655 0300. Funded by Lloyd’s Community Programme, Abacus is a family financial literacy project engaging children and their parents in Tower Hamlets. In a series of six weekly workshops over one term, children aged 9-11 and their parents concurrently explore the practical and emotional aspects of managing money, learn about financial products and concepts and engage with the world of work. The workshops are supplemented by two trips to the Bank of England Museum and the Lloyd’s Building. We deliver the project in partnership with Quaker Social Action who run the parent workshops. Using our curriculum-linked activities recently accredited by Young Money’s Financial Education Quality Mark, volunteers from across the Lloyd’s insurance market support or deliver two or more workshops for 9-11 year-olds, as well as some joint activities with parents. With a Tower Hamlets Education Business Partnership lead facilitator, volunteers bring money, insurance and the world of work to life, whilst broadening children’s aspirations. To find out more about this programme please contact our Learn More Team or call 020 7655 0300.